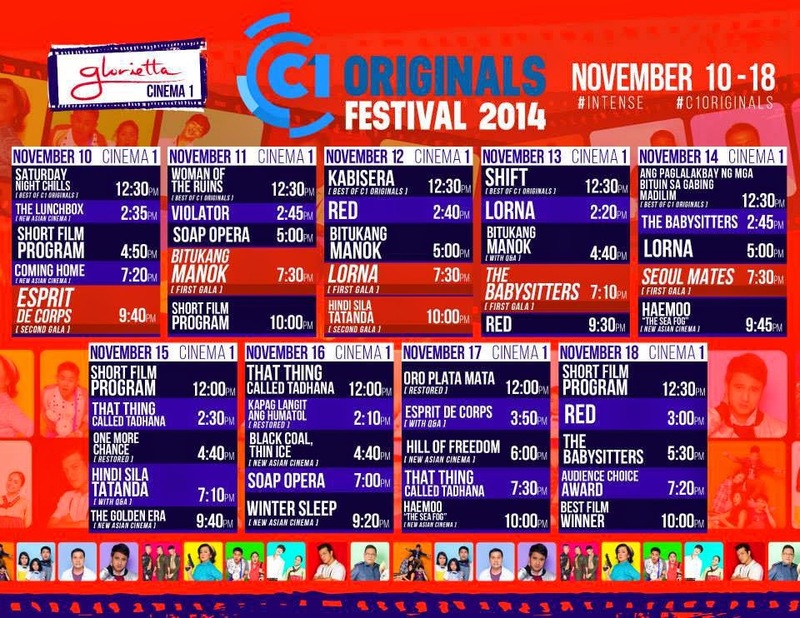 The Cinema One Originals Film Festival is a film festival in the Philippines held annually in the month of November shown at selected malls. 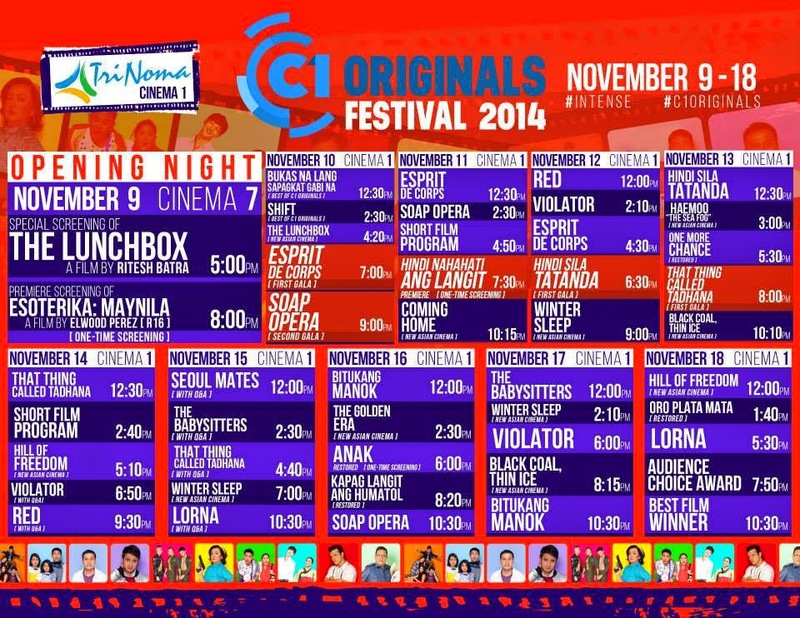 It aims to showcase the talents and diverse voices of the Filipino independent films. 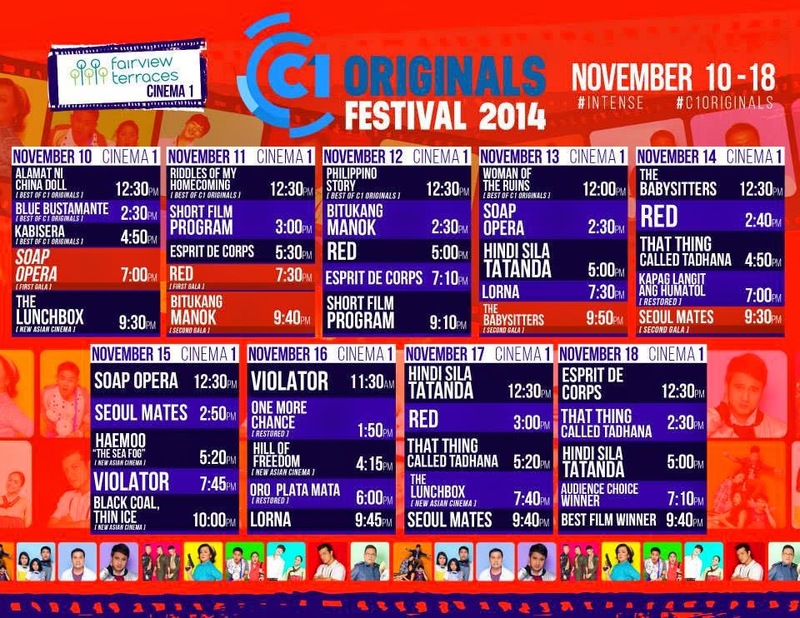 The film festival is produced by Cinema One, a Filipino cable television network. 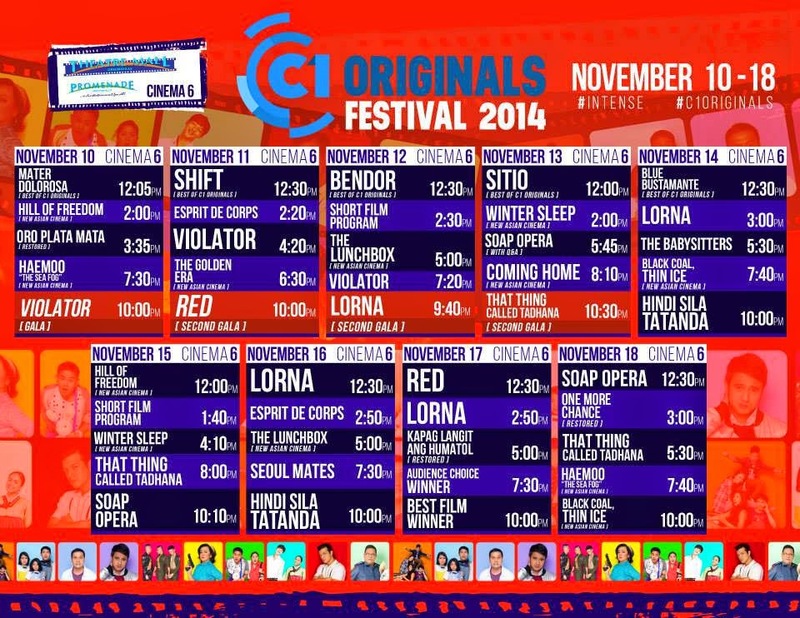 From a good number of full length scripts submitted to the screening committee, they got 5 films for the Cinema One Plus category (with Php 2 million film grant), and 10 films for the Cinema One Currents category (with Php 1 million film grant), based on the quality of scripts and presentation of the filmmakers. By year 2012, the film entries were split into two categories, Plus and Currents, based on the movies' blockbuster potential and market appeal.